Borage, Borago Officianlis, is another one of the oldest known cultivated plants in the western world. 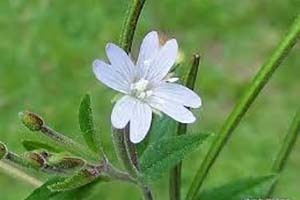 The Romans used the young leaves and flowers as an elixir of youth, or certainly a spring tonic. Borage contains a wealth of potassium, calcium, and, as believed, vitamin B-12. 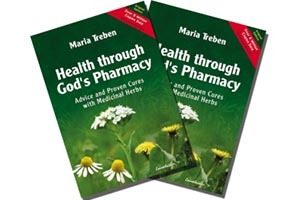 The vitamin no doubt may be the cause of “Glad Tidings and Good Cheer” often associated with this helpful plant. Borage is a rather large plant or herb. It spreads in rich fertile ground upwards of four feet tall and two feet wide. The leaves are broad with a light green odor, having a silvery hair-like covering that makes it shimmer in the moonlight. It stands out well at night in the garden, and perhaps its shimmering was the reason it was associated with romance in olden days. Borage is quite prolific, reseeding itself each year. You can gather the rather large round black seeds yourself. Most garden catalogs list Borage. The best time to plant Borage is about the time you set out your tomatoes. The direct seeded, or started transplants will grow quickly. If planted adjacent to the tomato plants in a companion way, borage will provide a resistance to the tomato hornworm, a common problem of tomato growers. I usually grow my tomato plants in a row, skipping a tomato every other two and growing a Borage plant. Sometimes with caged tomato plants I will place the Borage in front of the cage on the west side, since borage likes full sun. You will probably note an increased zest to the tomato flavor, since, as a companion plant, Borage aids the growth and general enhancement of tomatoes. 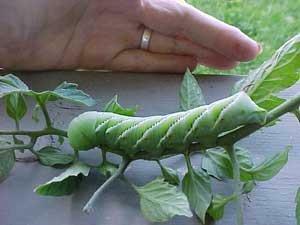 Tomato hornworms, voracious eaters, are easily repelled by the Borage plants. For the doubting Thomas among my readers, you can try it with a couple of unsprayed plants in a remote garden location with our friend the Borage plant. Borage also has a reputation of aiding the growth of bush beans, spinach, and strawberries. Planted with strawberries it will attract bees. Some gardeners use Borage as a compost with their strawberries to reduce black rot. Harvest young leaves when they are three to five inches long. Large leaves are too hairy and tough. Use big leaves for the compost pile. 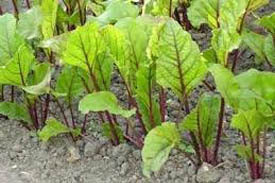 Add the young leaves for a refreshing cucumber-like lift to your garden salads. The beautiful flowers are often used for cake decorations by dipping the blowers in a bit of egg white, then in sugar. Of course, with all this writing about Borage, I have been getting hungry for a nice pot of mustard and turnip greens with a few young Borage leaves thrown in. I think I’ll add a chopped hard-boiled country egg with it too.